Money loan is a short-term personal loan, which is given to the borrower with the minimum documentation and a quick application process. These money lenders are usually funded by private investors which lend a relatively small amount of money compared to the traditional institutions like banks. 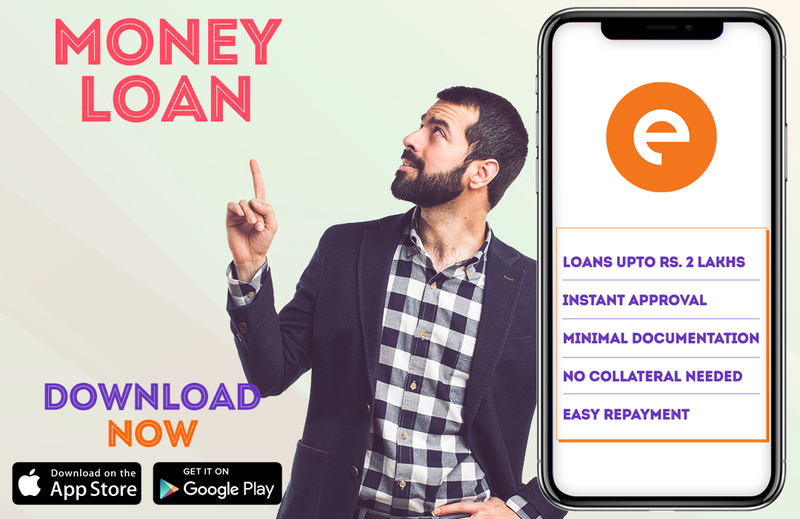 One can opt for instant money loan in case of re-payment of unpaid bills, EMIs, travel plans, festival shopping, medical emergencies, good purchases or any other unplanned or planned event. This type of loan is also known as personal loan, instant loan or a quick loan. The process of applying for an instant money loan is easier and paperless. There is no need to visit any bank or branch, you can apply for instant loans from anywhere with the internet connectivity. The flexibility of these loans makes them quite popular among the young professionals with high aspirations and who need quick money on the go. Finding a platform which has a quick application process is the first step. Loan Apps like CASHe, are one of the money lenders which are ideal when it comes to instant loan. You can download CASHe on your smartphone and register yourself. Once the registration is completed you can enter the required loan amount and the duration of the loan. The app will then ask you to upload the documents required for the process. Once you submit the documents from your smartphone, the app will take some time to review your application. You can check your loan status online on the app. The documents required include identity proof, address proof, and your salaried status. 1. Identity Proof – For Identity proof, you can submit Aadhar card, Valid Passport, Voters ID, or your driving license. 2. Address Proof – For address proof, you can submit ration card or passport or your utility bills like telephone, rental agreement, or electricity bill. 3. Income Status – Your latest 3 months’ salary slips will be required along with your bank statement which showcases the salary credit. You need to upload your passport size photos during the registration process. Anyone can apply for an instant money loan as long as they are the resident of India and fall into the age bracket of 23 years old to 58 years old. The application procedure is speedy and the app takes very less time to review your loan request. Your loan request can get approved on the same day of application. Once it is approved, the loan amount is then transferred to your account within minutes. On the due date, you can repay the money via bank transfer or you can deposit a cheque. The interest rate of your loan depends on your loan amount and the duration of the loan. The range of money loan starts from as low as ₹5000 and can go up to 1 or 2 lakhs. The loan duration can be 15, 30, 90 or 180 days depending on your capability of re-payment.